Director Anubhav Sinha has come a long way. From making a Rs 2.5 core film called Tum Bin to making one of the most expensive and awaited movies of 2011, Ra.One, Sinha's career seems to have completely turned around. In fact, in his latest film, he not only directs Bollywood's superstars Shah Rukh Khan and Kareena Kapoor, he even gets a day with Tamil megastar Rajnikanth. When Sonil Dedhia met up with Sinha at a tiny coffee shop in Andheri, a suburb in Mumbai, his mobile phone rang continuously. In this first part of a long and very interesting conversation with Sinha, the director talks about the expectations he has from Ra.One, and watching SRK and Rajni share the same frame. 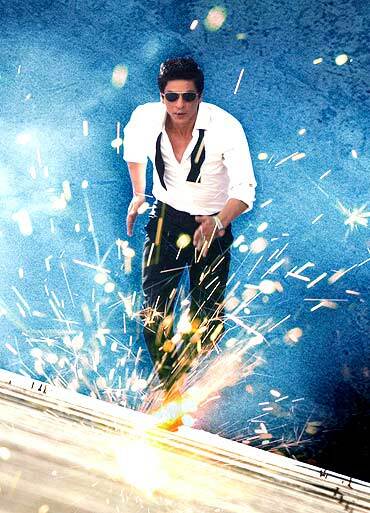 Has the feeling sunk that Ra.One is finally completed? No, it has not. Honestly, there is no time to sit and look back at the movie. Certain things always come up until the movie is released. I am just trying to keep pace with whatever is required at the moment. People often say that Ra.One is such a big film but to be honest, I don't know how big it is because it is still growing. Just last week we Rajni sir shot for the movie. What kind of opening are you hoping for? I am looking at certain landmarks. The first landmark is to deliver the completed film to Shah Rukh Khan, in a few days' time. I guess that's when the feeling will sink in. The second landmark will be on Monday, October 30, after the film's release. That will be the final closure of the film because that's when we will have a fair idea whether the audience has accepted the film or not. I don't want to look at my movie in numbers. Trade Analysts predict the film to break all previous box office records. Unless you strive to be the best, you won't be able to achieve it. 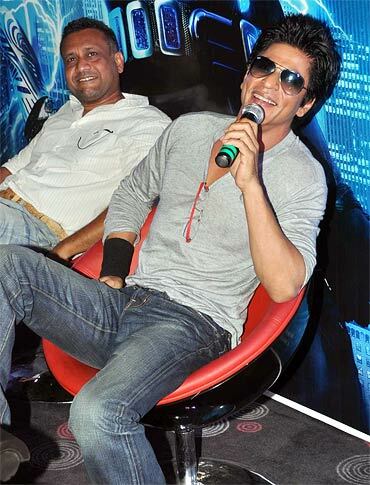 I want to make Ra.One the best film and at the moment, there are numbers associated with the best. We are aware that we might end up breaking records but we are not working towards that. The film is coming out with a record number of prints. Yes but times are changing. When Shah Rukh released his last film My Name Is Khan, it was not normal to hear a film earning Rs 100 crores. Nowadays every month we have at least one filmwhich gets that figure. When did you think of roping in Rajnikanth in Ra.One? I think Rajni sir became a part of film a year back. There was a sequence in the film and we hit upon an idea which went towards Rajni sir. We planned the whole sequence and spoke to him and he was comfortable doing it. Unfortunately, he was not well so we thought we'd have to drop the scene but he was kind enough to fulfil his promise. There has been a lot of speculation that it was Rajnikanth's Robot that made you cast him in the film. Let me clear this. I had Rajnkanth the actor in mind, not Chitti his character from Robot. When we sat down to discuss how his character would look, it was his daughter Soundarya who suggested we go with his Chitti's look from Robot. There are rumours that there are a lot of sequences in Ra.One that are similar to Robot. How many people have seen Ra.One? Since I was making a superhero film, I have seen the other superhero films and each of them have a train sequence. Logically, when you are making a film of this magnitude and if you know that there are certain scenes which are similar to what you are making and what has already been released, then you try to correct it. It would stupid to make a similar sequence, which has already been seen by the audience. So are there any changes made to Ra.One after Robot released? No. It is too premature to comment on my film. I have seen both the films and if rumours think they know more than me, God bless them. Very few directors have been fortunate to direct Rajnikanth. Did you at any point of time dream of directing him? Who wouldn't? There are certain dreams that you really want to achieve and others that remain dreams. I thought directing Rajnikanth would remain a dream because he acts only in Tamil films and I don't make those. When such a dream comes true, it is inexpressible. I have been his fan as far back as I can remember. The shoot when like a dream. It happened so quickly that I can now just savour it in hindsight. He is the most humble person I have come across. He stays calm and doesn't speak much. He calls his directors 'Sir' and called me sir too. It was nerve wrecking to have Shah Rukh Khan and Rajinikanth in the same frame. Can you define the moment when you saw Rajnikanth and Shah Rukh on your monitor for the first time. While I was studying in Aligarh, I had gone to Agra to see the Taj Mahal for the first time with my friends. I have never been a historical person and it was just a fun trip. I distinctly remember I was in a queue where you show your ticket to enter the main premises of Taj Mahal. As soon as I entered and looked towards my left I was like 'Oh Fk' because it is so awe-inspiring. The only other feeling I could compare to when I shot with Rajni sir and Shah Rukh Khan together.